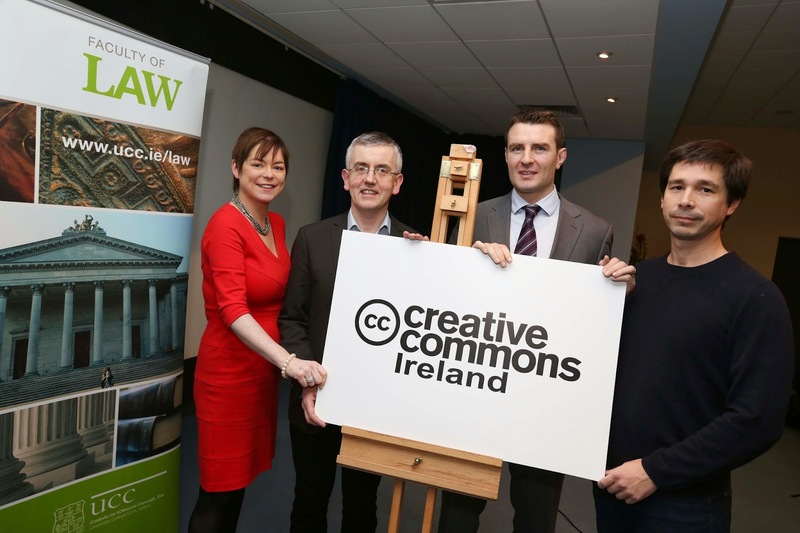 Today in Cork we held an event on the theme 'Creative Commons for Startups'. For more information about the background to the event see here. Photographs are available in this Flickr album. Hosted by Creative Commons Ireland in collaboration with Creative Commons UK and the IT Law Clinic, School of Law, University College Cork. This event will discuss how Creative Commons can be useful to startups. For example, startups can make use of images subject to Creative Commons licences in designing a website. It is also possible for startups to utilise open business models with CC licences at their core. Two case studies of businesses of this kind are provided at the end of this post – OpenDesk and The Noun Project. We are the Public Leads of Creative Commons Ireland and we welcome the opportunity to express our view on the EU’s new proposed Directive on Copyright in the Digital Single Market. We have been involved in discussions at European level within the Creative Commons (CC) organisation about this proposed Directive. As a result of that process, a joint letter (attached) has been written and signed by a large number of European CC affiliates. We fully endorse the contents of the attached letter. The proposed ancillary copyright (“link tax”) would have a negative impact on online sharing and should be removed. The education exception should be broadened beyond formal educational establishments. The Text and Data Mining exception should be available to the private sector as well as to non-profits. 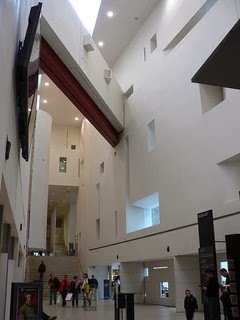 Rather than a licensing system for use of out-of-commerce works by cultural heritage institutions, a better solution would be an exception for the use of such works. The proposal to require internet platforms to monitor content should be removed. There should be a mandatory exception regarding freedom of panorama. A general exception should be introduced to make copyright law more adaptable to new uses and technologies over time. In addition, we note that many of the submissions in the CC letter attached are in keeping with proposals in Ireland’s Copyright Review Committee (CRC) report on Modernising Copyright, published in 2013. The CRC report was a progressive report at national level and we look forward to its implementation in due course. It would be a real pity if, at EU level, a Directive were adopted which was not as progressive as our national review committee report. We also support the recent open letter by EU academics on the proposed Directive. This letter is available at https://ssrn.com/abstract=2850483. It focuses on the proposed action in relation to content monitoring by intermediaries in the context of the so called 'value gap' proposal. The academics ask for a public and transparent discussion on the interplay between the proposed copyright directive and the Electronic Commerce Directive. We are available to discuss any of the above points at any stage. I thought it would be interesting to do a quick list of Open Internet organisations in Ireland. I use the term 'Open Internet' loosely, to cover organisations which promote openness and sharing online. At a recent Creative Commons Ireland talk, hosted by the UCC Faculty of Law, Puneet Kishor spoke on the topic of “Science, Data and Creative Commons” (click here to see the talk in full). Mr Kishor is manager of Science and Data Policy at Creative Commons (CC) in Mountain View California where he works on all aspects of the scientific information lifecycle to make it systemically open and collaborative. The talk began with a brief introduction to CC for those who were unfamiliar. Mr Kishor outlined the vision of CC for the attendees namely; “Our vision is nothing less than realizing the full potential of the Internet — universal access to research and education, full participation in culture — to drive a new era of development, growth, and productivity”, and explained the “open by default” vision for CC over the course of the next 10 years. In outlining CC Mr Kishor explained that CC is in fact based on copyright. He stated that the 6 licenses lie somewhere in between ‘no rights at all’ and ‘all rights reserved’ and give users permission based on certain conditions. As to where exactly on the spectrum it falls depends on the combination of the “building blocks of licenses” used that CC has created. The three layers of the licenses were then outlined. From the perspective of the human observer CC can be seen through the various badges which visually represent the licences. However, there is also the machine readable html code and tags as well as the associated legal code. Mr Kishor ended this section of the talk by stating that his own personal philosophy on CC is that it is “not just tweaking the law it is also tweaking the culture of sharing.” Essentially, he opined that the CC licences are part of a fundamental change in the way that society thinks about sharing. In the third part of the talk Mr Kishor outlined some key elements and concepts behind the CC structure. He outlined the nature of the license and stated that one can only license rights which one holds. Mr Kishor further distinguished the concept of a license from that of a contract and concluded that a key point is that contract remedies do not apply. Interestingly he also observed that; “A license is a signal to the good folks, a guide to the unsure, and meaningless to the bad folks” and also noted that less open licenses do not necessarily do what would be expected. As a final point in this section Mr Kishor also noted that when using several differently licensed works in a new work, all individual pieces must be marked individually. This requirement presents obvious challenges however, until there is one standardised license it will be necessary. In the final part of the seminar Mr Kishor outlined his work as head of the science programme. He highlighted the increasing popularity of text and data mining because of increased computer power. Mr Kishor expressed his plans regarding the setting up of various workshops to discuss the practicalities and legal intricacies of text and data mining. This area is clearly dominated by a tension between privacy and openness. The speaker proffered that instead of focusing on the importance of protecting privacy the benefits of openness could be communicated and that thus access to information could be granted through informed consent. This raised an interesting issue in relation to the use of personal data for a public good and hence the finding of an appropriate balance. To end the talk Mr Kishor expressed his desire to establish a network of scientists to increase awareness and to involve the scientific community in CC. He expressed his wish to appeal to the developing countries as the open science and open data movements are dominated by developed countries. The idea behind this move is that by involving scientists they may become advocates and hopefully may be able to make a constructive difference in the structures around scientific funding. The lecture ended with an interesting Q&A session that involved some thought provoking debate. Friday 17 January 2014, 9.45 a.m. to 1 p.m.